There are severe regulatory fines and serious medical dangers to disposing of regulated medical waste improperly. To prevent the spread of infectious diseases and keep in compliance with local, state, and federal regulations, you need to ensure that you select a medical waste disposal company that can help you dispose of your medical waste safely and securely. Medical Waste Pros will connect you with a local, reputable medical waste disposal company in your area that can help you with regulated medical waste disposal for your company as often as you need it. 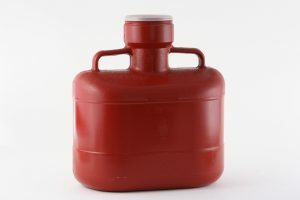 What are the different kinds of Regulated Waste? 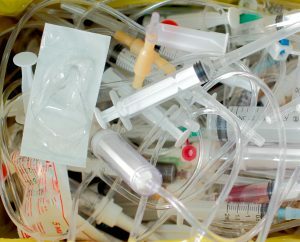 Six kinds of medical waste are usually regulated at the state level, and need to be handled, managed, and disposed of properly based on OSHA regulations, State mandates, and personal safety of your employees, patients, and customers. Click on any of the links below to learn more. Pathological waste includes all human anatomical wastes, tissues, organs, or body parts that are intended to be disposed, regardless of what medical procedure was performed. This category includes any type of blood disposal (including serum, plasma and other components) and human body fluids, including with any bodily fluids that are visually contaminated with blood or fluids where it might be difficult or impossible to differentiate between body fluids and blood. Also known as microbiological waste, this type of waste generally originates from clinical or research laboratory procedures involving communicable infectious agents. It could include specimens from medical and pathology laboratories, culture dishes, devices used to transfer, inoculate, and mix, or discarded live and attenuated vaccines. Sharps waste includes any item that can induce subdermal inoculation of infectious agents that can easily penetrate the skin, puncture waste bags and cardboard boxes that was used in medical, research or industrial laboratories on animals or humans. Isolation wastes are any type of waste that has potentially been contaminated with a highly communicable disease. It’s usually generated by hospitalized patients or animals isolated to protect others from communicable disease. From animals intentionally exposed to pathogens in research, biologicals production, or in vivo pharmaceuticals testing. Medical Waste Pros can help you find a compliant regulated medical waste disposal company right in your area. We’ll help you select the containers, schedule, and system that works best for your organization. To get free quotes on regulated waste disposal, fill out the form to the right, or give us a call at (888) 755-6370.